Very knowledgable and well versed. Made me feel at ease and took time to understand my whole family history. Great side manner, took time to ask questions and explain. Seemed compassionate and personable. Office ladies were friendlyand professional. Great side manner, took time to ask questions and explain. Seemed compassionate and personable. Office ladies were friendly and professional. 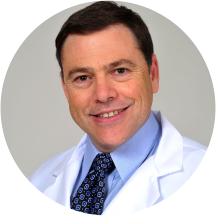 Dr. Yaron Bareket is Board Certified in Cardiovascular Disease and Internal Medicine. He is a member of the American College of Cardiology and the American College of Nuclear Cardiology. Dr. Bareket has published articles on a variety of subjects and has also received research awards from the American College of Physicians and the American Federation for Clinical Research. Dr. Bareket received his M.D. from The University of Melbourne, Australia. He came to the United States after completing an internship at The Alfred Hospital in Melbourne and completed his residency in Internal Medicine at Beth Israel Medical Center in New York. He then completed his Cardiology Fellowship at Montefiore Medical Center, Albert Einstein College of Medicine. Dr. Bareket is affiliated with Hackensack University Medical Center, Meadowlands Hospital Medical Center, Palisades General Medical Center and Englewood Hospital and Holy Name Medical Center. In addition to his practice at Cross County Cardiology, Dr. Bareket also sees patients at Hackensack University Medical Center's Heart & Vascular Hospital and The Park Medical Group in Tenafly, NJ. Very professional and knowledgable . Nice office space. Complimentary coffee and a minimal wait time. Dr. Bareket listens to concerns and addresses them all. He is very nice and detailed in his explanation of diagnosis. If you have an obsequious bent, perhaps this office will be adequate. As for me, I was given a script for a procedure that the doctor had said he would hold off on until the results of other tests. The officeperson (a blonde) was going to submit a prescription different from what the Dr. had ordered. I stopped her from making that mistake but I couldn't stop her from submitting a 30 day rather than the usual 90. All this happened because the office staff found out about a tweet I made about my past difficulties with the office staff of other MD's. The way they found out was either through @zocdoc or through medical blacklisting (of proactive patients) taking place in NJ. When you are out for vengeance, you can't hide behind a civil face and I saw signs at every turn that I pissed them off; but like I said, if you are not proactive and accept your fate at the MD's hand, you'll be OK seeing this doctor. As for the doctor himself, he has uncorrected presbyopia and that may account for why he makes a lot of noise preparing the BP apparatus, or perhaps subconsciously he's learned that that keeps the patient's BP treatable indefinitely. Dr. Bareket was extremely professional and attentive. He addressed all of my concerns. Doctor Bareket was great! Took his time to listen and thorough examination. Super nice guy! Dr. Bareket is wonderful. So knowledgeable and very caring. I had to wait for a while before I did get to meet Dr. Bareket...however, I walked in with zillion questions but by the time I finished my appointment and walked out felt every question I had was answered. First ofall Dr. was very patient to listen all the problems answered all the questions...then he started asking the investigative questions and did provide a clear explanation for each and every question...I highly recommend this Dr. Very knowledgeable doctor and excellent staff. Seen relatively quickly. Did not feel rushed at all as Dr. Bareket took his time with me and thoroughly explained my symptoms. Highly recommended. Very thorough doctor and listens to patient's concerns! He was very personable and direct. Great doctor! All in all, I was seen quickly, the staff was friendly and the doctor was very thorough, professional and laid out a very good treatment plan. I was very satisfied. Dr Bareket was wonderful.He's friendly and his staff was great.He took his time with me and explained everything I needed to know.I highly recommend Dr Bareket. Dr. Bareket is an excellent physician. He was courteous and knowledgeable. In addition, at no point did I feel rushed which is something I really appreciate. His staff was also very nice and the wait time was one of the shortestI've ever had a doctor's office. I highly recommend Dr. Bareket! I was seen right away. His staff was great, very nice and professional. Dr. Bareket took his time and explained everything in detail. Very thorough with a wonderful bedside manner. He is easy to talk to and very professional. I felt comfortable speaking about my worries and etc... he new what's he speaking about. He provide confided and knowledge. The staff are great and well manners. The only thing, I don't like is the wait. The wait was more than30 minutes. Than, the case was transferred to Englewood for a shorter time. Other than this, it's good. He is fabulous. Didn't yell about extra weight. Gave me strategies for a healthy heart. I hope I never need him for more than a checkup and stress test but if I did I would be so trusting and comfortable.